Celebrate your Irish heritage (or, just your love of Gaelic traditions) with these fun Irish wedding ideas. 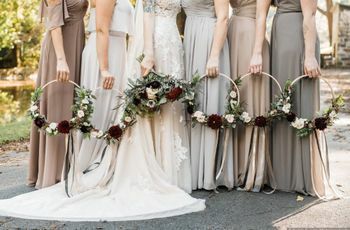 More than 1 in 10 Americans claims full or partial Irish descent, so it’s no wonder that Gaelic and Celtic traditions often make their way into modern weddings. 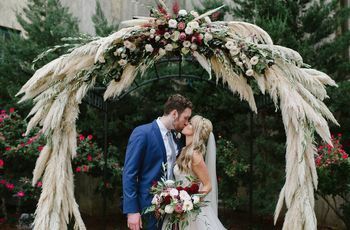 With just about half of couples incorporating a theme into their wedding decor, Irish wedding ideas should definitely be on the table if you’re looking for unique inspiration. And don’t worry if you don’t have a connection to the Emerald Isle. 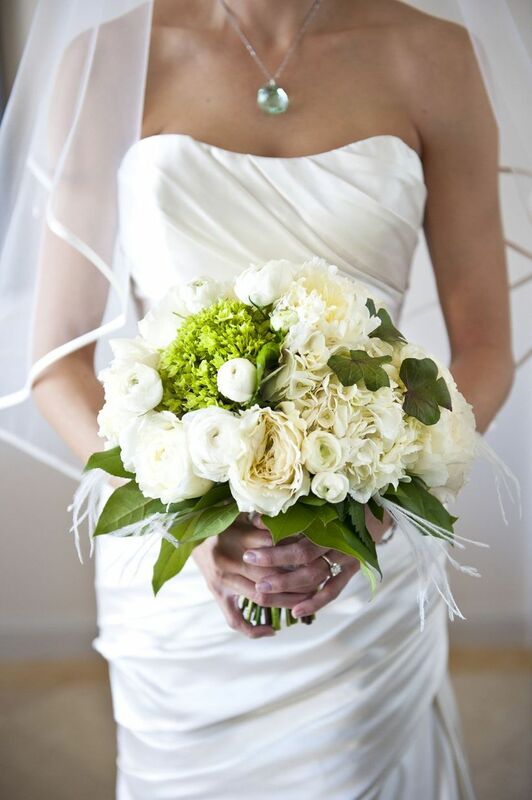 Irish wedding ideas are easy to incorporate into your wedding, no matter your ancestry. Check out these 8 Irish wedding ideas to celebrate Gaelic pride. Stereotypical or not, green is eternally associated with Ireland and all of her descendants. 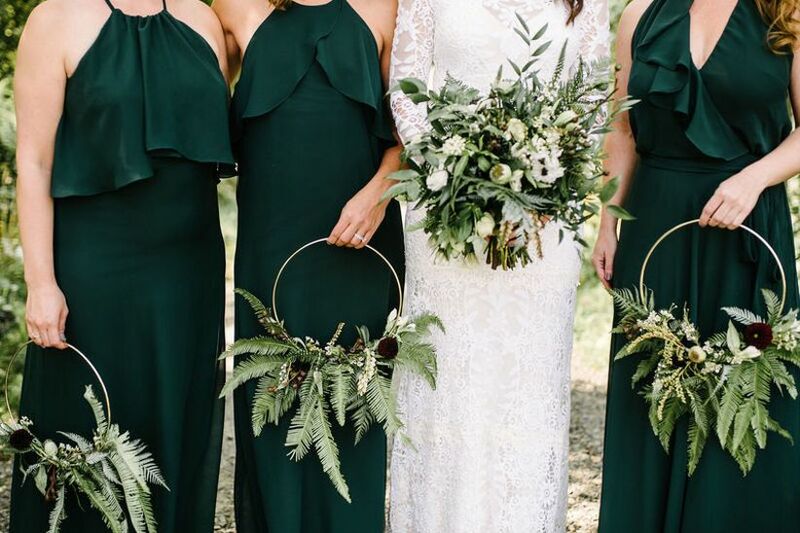 Rolling green hills, the green in the Irish flag — adding a verdant flash to your Irish wedding attire is a surefire way to show your Irish pride. 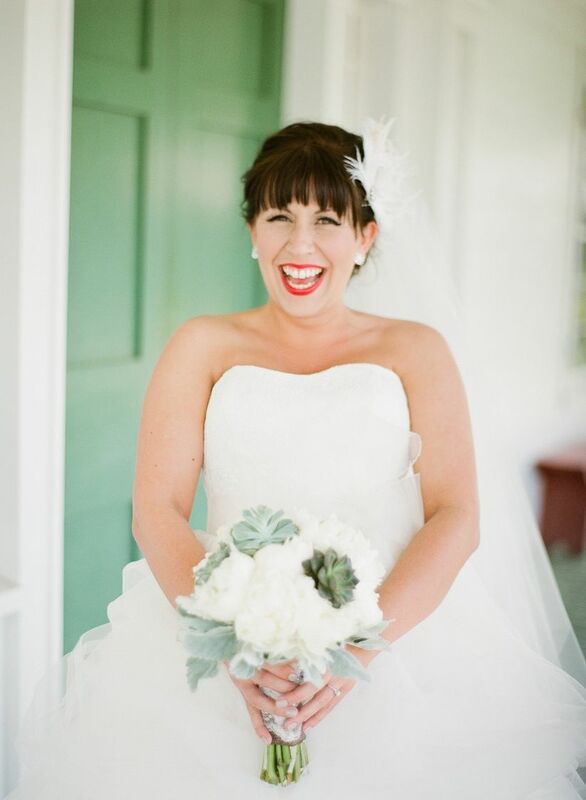 Take a page from this bride’s book and go for snazzy green heels under your wedding gown. Wedding music that reflects a couple’s heritage is insanely popular right now. 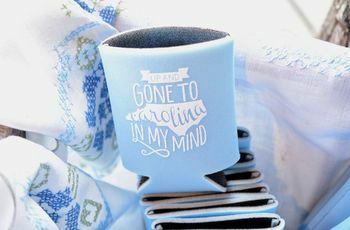 According to WeddingWire’s 2018 Newlywed Report, 40 percent of couples incorporated some kind of unique music into their big day. Few things say Irish motherland quite like the pipes. Although the instrument is closely associated with Scotland, it’s a traditional Celtic sound that both Irish and Scottish cultures have enjoyed for centuries. 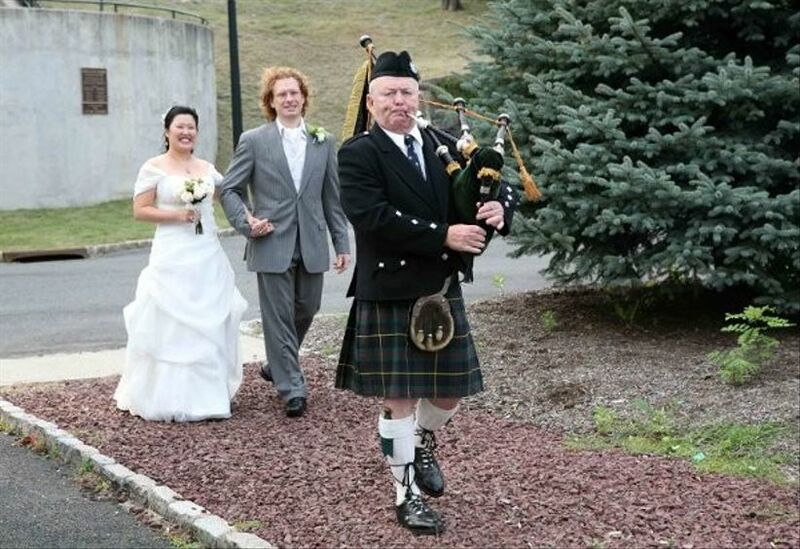 Most couples opt to hire bagpipe musicians for their Irish wedding ceremony, while selecting for more contemporary sounds during the reception. In addition to the bagpipes, the harp is an enduring Irish wedding tradition. 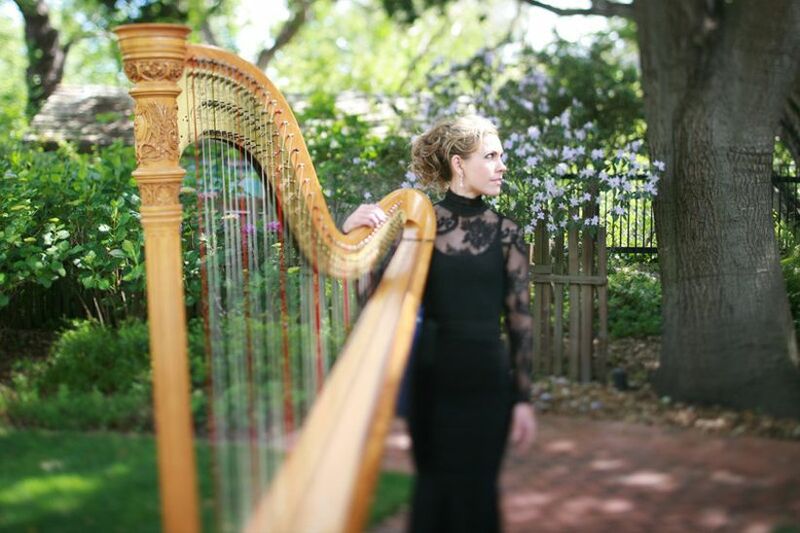 Many of the most famous Celtic folk songs mention harpers specifically, so it won't be hard to find a few ancestral tunes to play during your ceremony. While four-leaf clovers are considered good luck, it’s the three-leafed shamrock that is considered the fortuitous for the Irish and Irish Americans. Said to have been used by St. Patrick to explain the Holy Trinity to help convert the people of Ireland to Christianity, adding a few of these young sprigs to your bouquet, boutonniere or other wedding florals is a gentle nod to Ireland. Speaking of boutonnieres, get super creative, like this groom. 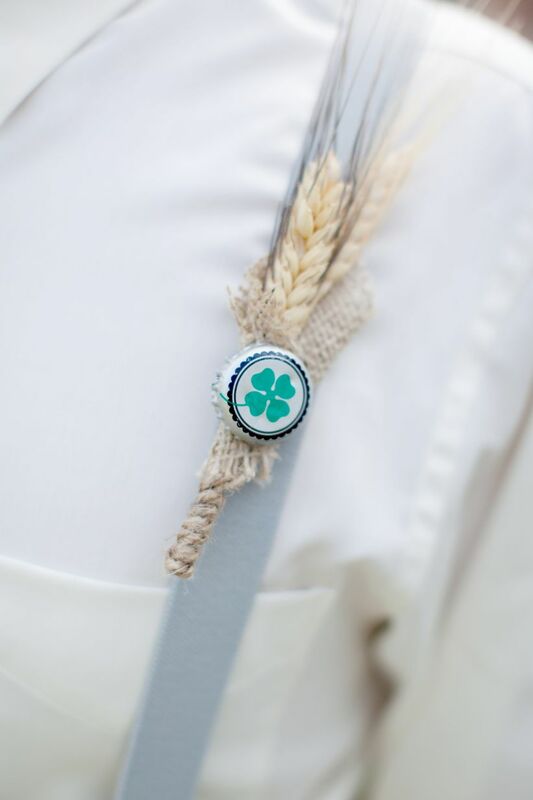 Practically swelling with Gaelic pride, he made the perfect rustic Irish wedding accessory with wheat husks wrapped in burlap and covered by a beer bottle cap imprinted with a four-leaf clover. 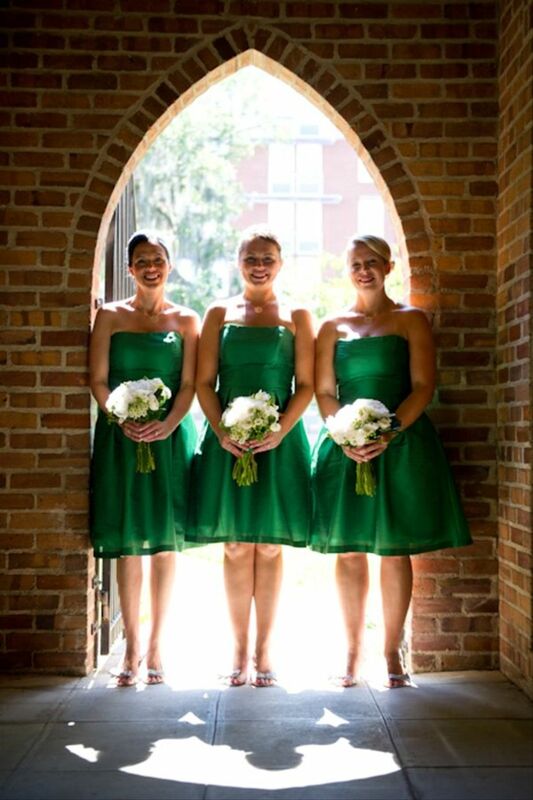 Maybe this Irish bride just got lucky, or maybe she strategically selected an Irish wedding venue with bright green doors. 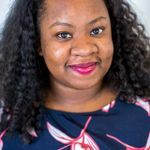 Either way, it was easy to celebrate her heritage with gorgeous portraits in front of an emerald green door. Before you even begin to plan your Irish wedding, show your pride with an engagement ring that takes its style cues from the Old Country. Claddagh rings are a popular style that are said to have originated in Ireland 400 years ago. Showing two hands holding a heart with a crown on top, they are said to symbolize love, loyalty and friendship. Celtic crosses are also popular design features that can be added to a wedding band or engagement ring to show your Irish pride. There’s about a million ways to do green and this deep, jewel-toned version is the perfect compliment to modern, moody Irish wedding decor. 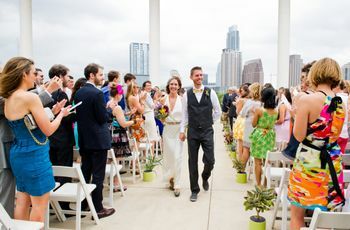 Go for a mix of gown styles in the same shade, like this couple, or find a few complementary shades of green to mix it up. 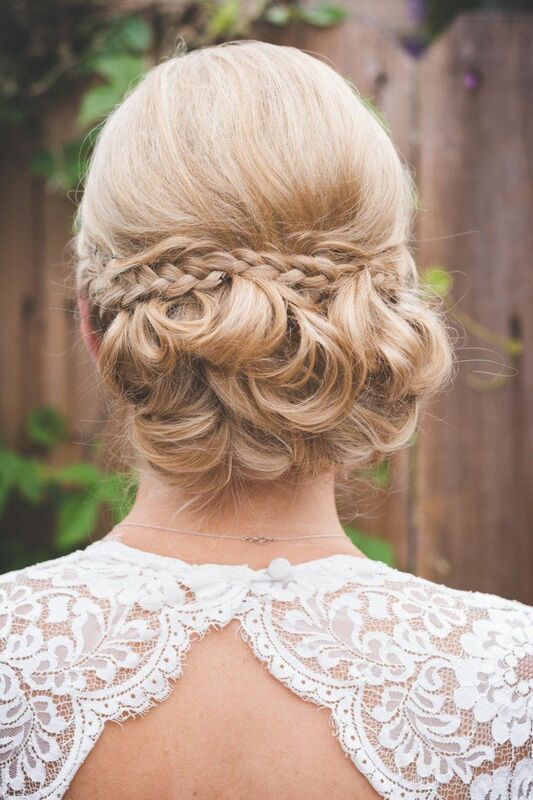 If you have long hair, or want to add a few extensions, ask your stylist for a fancy braided updo à la so many Old Country maidens.